Click on the Database Vendor panel. 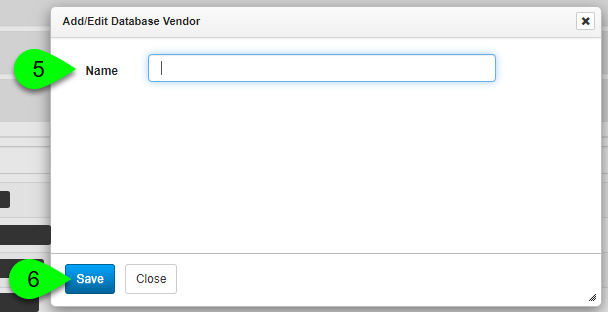 Click on the Add Database Vendor button. Give your new vendor a Name. 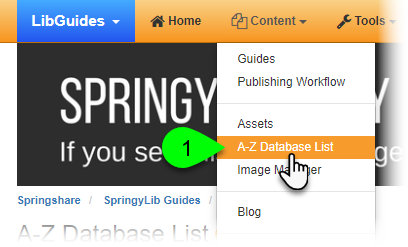 To see which databases are assigned to a vendor: click on the number in the Database Count column. To edit a database vendor: click on the Edit () icon in the Actions column. 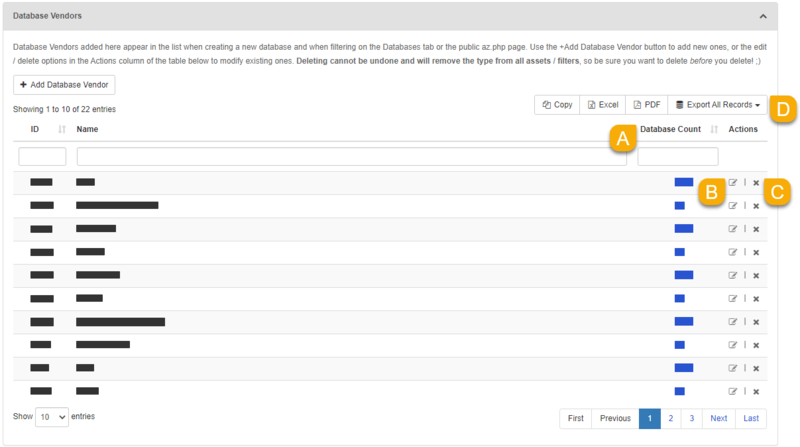 To delete a database vendor: click on the Delete () icon in the Actions column. Note: this will only delete the database vendor -- it will not delete any databases associated with it. Or, click on Export All Records and select either HTML or CSV format to download the entire list.